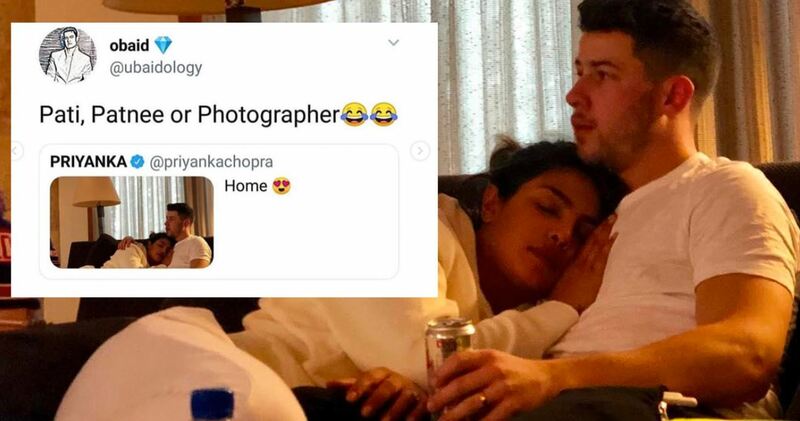 Newlyweds Priyanka Chopra and Nick Jonas have never shied away from publicizing their romance, from their extravagant red and white wedding to all their honeymoon photos – the two really have internationally accentuated their love for one another with aplomb. 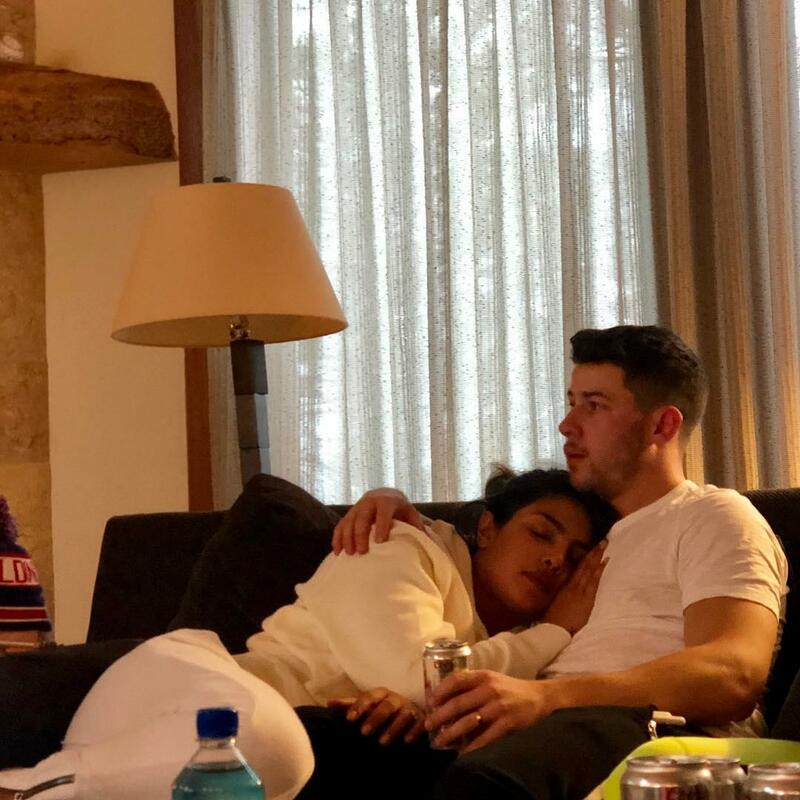 The actress recently posted this picture of herself falling asleep in Nick’s arms on social media, and while it is really cute – it got trolled MASSIVELY and we legit cannot stop lolling. 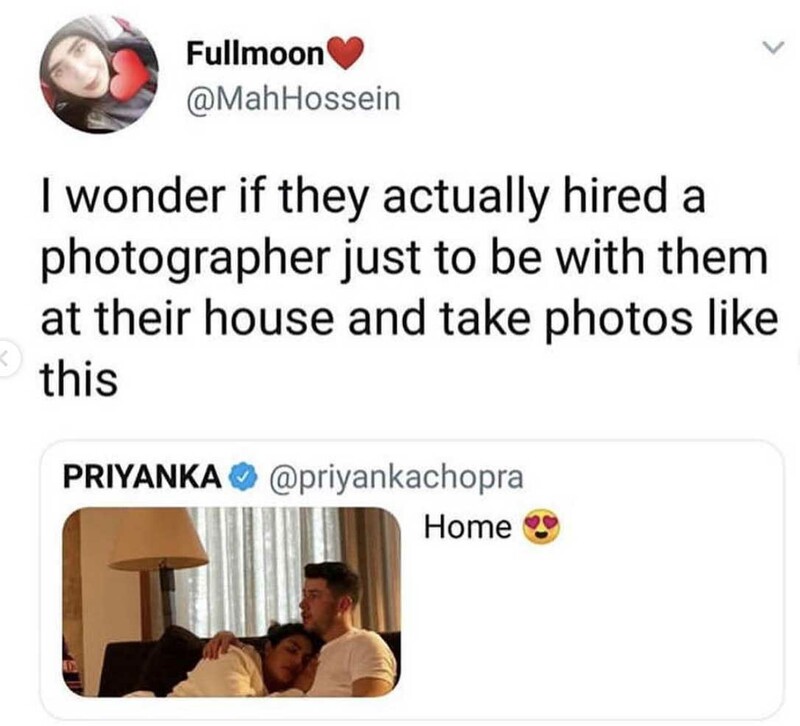 With many joking about how their photographer practically lives with them to capture every moment of the couple. Some people were creeped out by the thought of a photographer constantly picking up their every move. user credited the photo to “CCTV footage” LOL. There were puns on movies like ‘Sahib Biwi Aur Gangster’ LOL! Many didn’t believe the photo was authentic and labeled it as staged. Write Your Comments Below About the Photo. Previous articleKashmir Solidarity Day observed in the U.S.